Hey Everyone! I hope that you are all doing well these days and that you're keeping yourselves warm in this crazy and unpredictable weather! We are only a week away from Christmas, and I thought that I'd show you guys 1-2 more gift ideas, all local to Toronto or Canada of course! I'd like to introduce all of you to these fantastic bracelets that one of my friends started making. They are quality products - beads are made from a variety of materials, she has wood, glass etc - and lots of different designs. 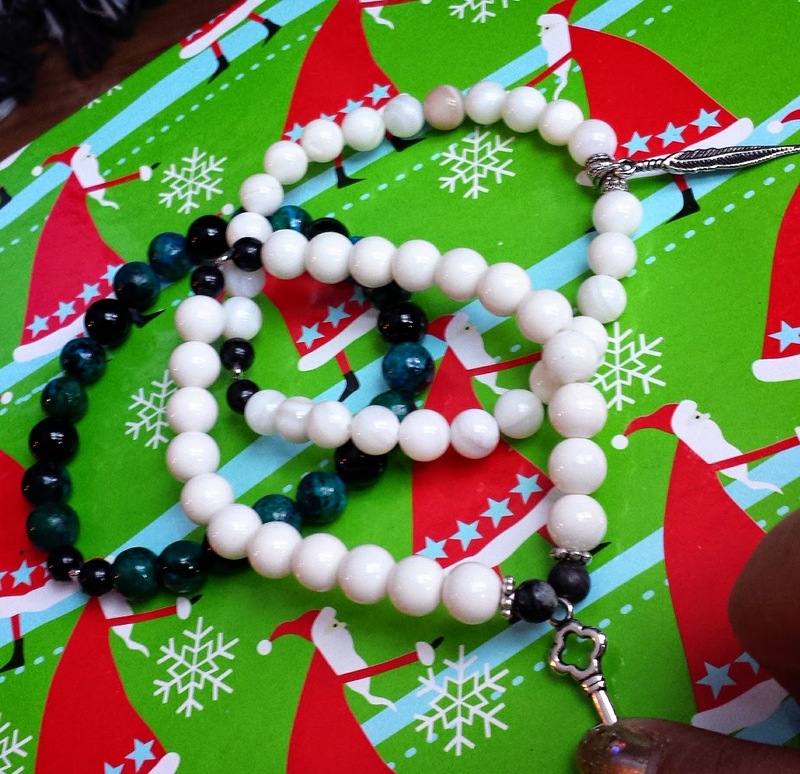 They can come in either a clasp or elastic band which is very accommodating, and, she also gives you the option of customizing the length of the bracelet at no extra cost (within reason of course). They come in 7.5 inches, but I got mine extended to 8 just so that they are looser for when I stack them all together. Hey, notice the word I used, Stack? well, this is the concept behind her brand, STAK CO, you can layer them to create your one of a kind customized piece. Prices vary from $20-$22 and I have a 10% off coupon for all of you! The promo code is: mirandaloves - you just have to redeem it upon checkout. Each bracelet is hand-made with love and care and I got it within a week or so! 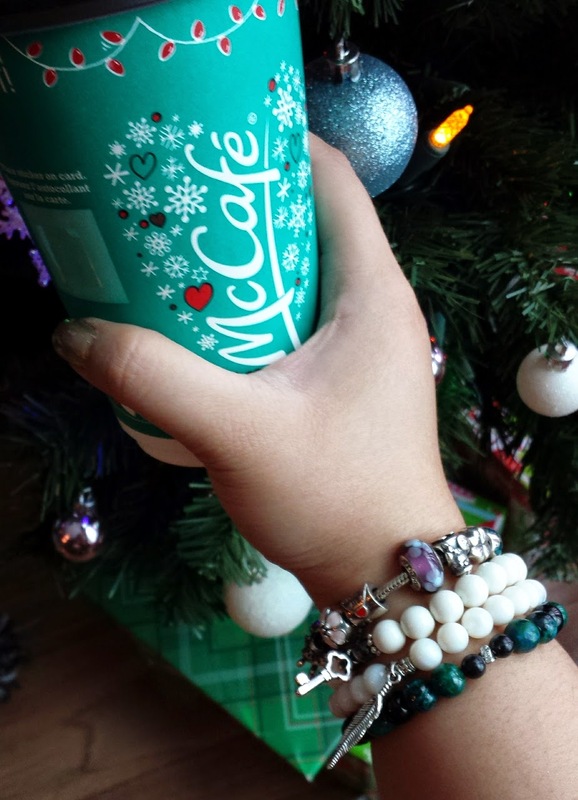 The coupon code is valid until December 31, 2014 if you want to treat yourself to some arm candy! Honestly guys, these are great quality products and the prices are amazing. You'd probably be paying 2-3x the amount anywhere else! Really like the feather charm and the key. Super super cute. Great bang for your buck. Oooh those are pretty! 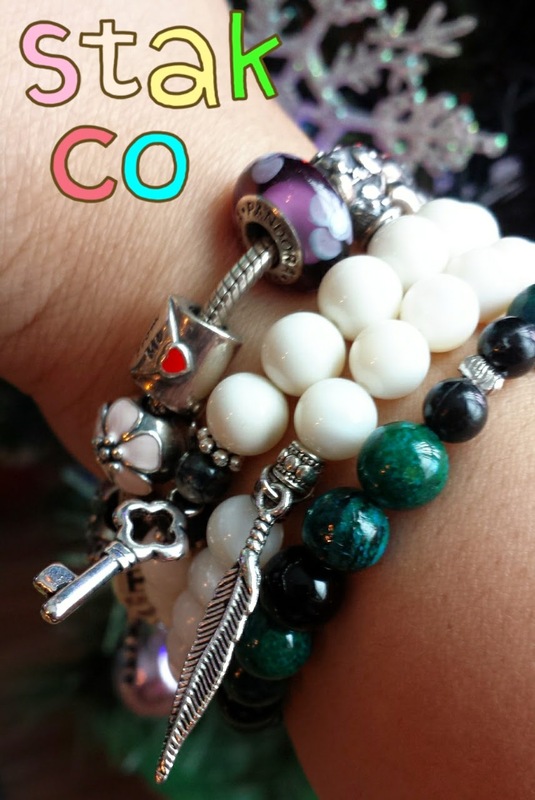 Love stacking bracelets.